The Collective’s polo-focused window draws inspiration from the celestial world and presents an abstract setting of night skyline and mannequins enclosed in spaceships. The window is designed to promote their range of polo merchandises. 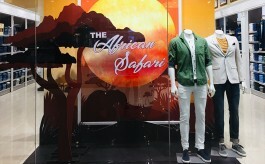 Luxury brands retailer The Collective has recently executed their product window across all their stores to promote their range of polo merchandises. Designed by Delhi-based 02 June Design Studios, the polo window takes a fresh turn from its regular travel-oriented look and takes inspiration from space and universe. 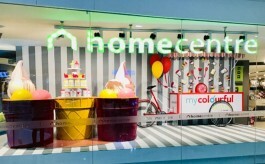 Talking to Retail4Growth, Neha Thakur, Head Visual Merchandiser, The Collective, said, “The window theme uses the products as highlights and brings out effectively polo as a category recognisable and desirable. We house polo t-shirts from the best of the brands in the category worldwide. Each of these brands carries a heritage, legacy and compelling story. Their logos are instantly recognised as a hallmark of luxury and refinement anywhere in the world. The polo range at The Collective is truly iconic.